A dining chair that is both sleek and comfortable, the Anime Dining Chair from Zuo Modern serves as a great choice in any modern dining room. 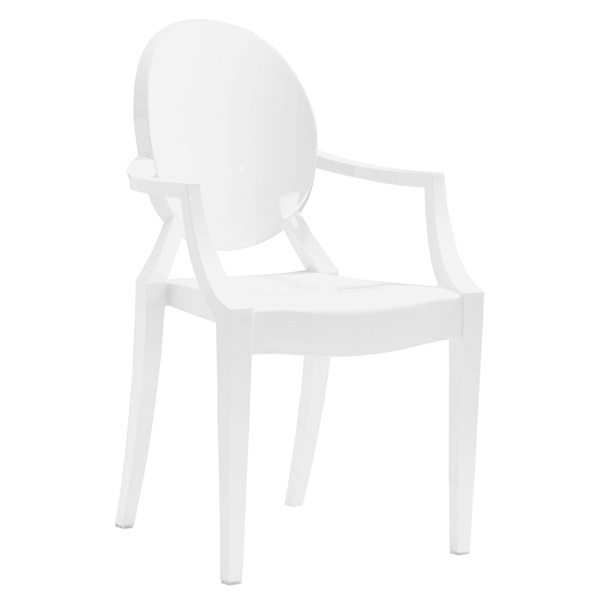 This top-notch chair consists of strong, durable polycarbonate that gives the piece a distinct look and feel. The chair also will maintain its appearance against cracking and fading and is available in multiple stunning colors. Pick up a chair with a stackable design and an appearance that is all its own � the Anime Dining Chair. Polycarbonate construction ensures outstanding quality. Includes a two-year commercial-grade warranty against cracking and fading. Stackable design makes it easy to store multiple chairs. Nouveau classic style gives the chair a distinct look and feel. The arm height for the Anime Dining Chair is approximately 25 inches.